We want to make your purchase completely hassle free. After you make your purchase just go to our Contact page and we will be happy to set up an appointment for you. Don’t worry if you are not sure about how many windows you have. This offer generally covers a standard 3 bed semi detached home. 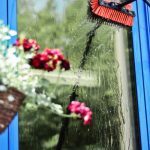 If there are more windows than you have paid for our window cleaner will count them out with you and you can choose to pay the balance on the day or have him clean 10 windows of your choice. The water fed pole system uses 100% pure filtrated water which leaves a streak free, crystal clear finish. Instead of the traditional squeegee and cloth, soft brushes with water jets are used to clean not just the glass but the frames as well. 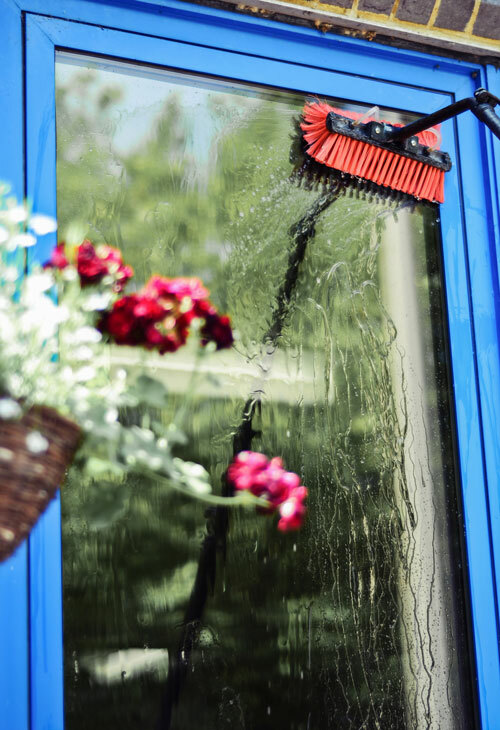 There is no soap residue for dirt to cling to which means your windows stay clean much longer and is far better for the environment. There is minimal need for ladders which reduces accidents and damage to property but also allows better access to windows that sometimes cant be reached by traditional methods. After you make your purchase you have 12 months to set up an appointment from date of sale. Please use our Contact us page to schedule appointments. Generally we schedule appointments a week in advance but we may be able to get to you within 3 days if required. This is subject to availability.